Monika de Waal is a FutureWork Institute Associate Consultant who is a specialist in organizational development, change and strategic management with a long-term commitment to effective intercultural interaction. Her focus is on creating opportunities for dialogue in complex organizations undergoing change with a core interest in organizational development and process consulting. She works both in the corporate sector as well as with local and national governments where programs have included diversity and inclusion, leadership, business ethics, intercultural negotiation, teambuilding and conflict management. Tracking and changing “mind bugs” in mental models from which organizations promote their vision and implementation is always part of her approach. Monika is an experienced executive coach and trainer, working with clients with a focus on empowering individuals and groups to enhance their performance. Her clients have a variety of roles and come from diverse cultural backgrounds, industries and economic sectors. Since its start in 1991, she has been a lecturer at the NATO Partnerships for Peace Programs for Eastern and Central European Officers. For several years. she has been responsible For the Professional Development Part at TiasNimbas Business School. She also has designed and delivered multicultural training programs in the USA, Hong Kong, Singapore and all over Europe. She is certified to work with the following: MIDAS: Multiple Intelligences; Diversity Icebreaker; Management Drives; IRC Intercultural Readiness Check; DISC genuine; CTT: Cultural Transformation Tool and Diversophy. Monika has been a member of SIETAR since 1988 and associate partner of several international management consultancies. 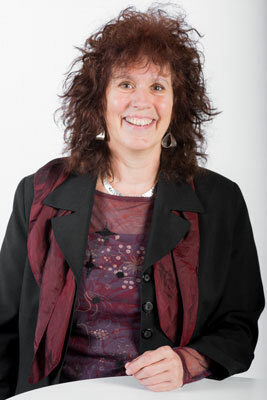 She is also the Chair of Dea Dia, female entrepreneurs and long-time member of the Order of Management Consultants NL. Netherlands. For years she was a Member of PWN (Professional Women Network) and the EWMD. Monika was born in the Netherlands, continued part of her youth in Pakistan, and now resides in the Netherlands. She speaks fluent Dutch, English and German, as well as reasonable French. Monika holds two Masters of Science and one Master of Business Administration degrees and has started her thesis at the Erasmus University in Rotterdam on Third Culture Kids and leadership.